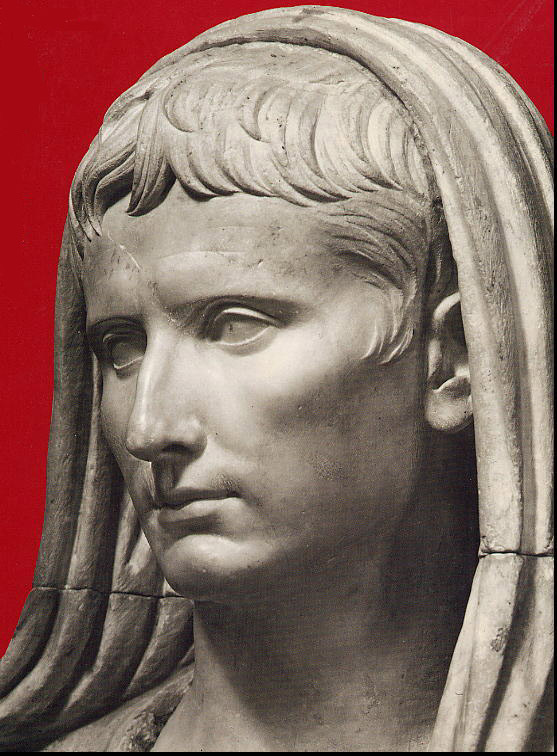 Although Augustus was perfectly capable of speaking extempore in public, he was always afraid of saying too much, or too little. So he not only carefully drafted his speeches to the Senate and read them out from a manuscript, but he also wrote down in advance any important statement he planned to make to an individual, and even to [his wife] Livia (it says something of her own clerical tidy-mindedness that she kept and filed all Augustus' written communications with her). That's what love is for! When he wasn't recording his talking points on a piece of parchment, Augustus drank and ate in moderation: if he felt like pigging out, he ate a few grapes or a slice of bread soaked in water. And what about relaxation? No orgiastic fun on the triclinium for this emperor: "In the afternoon the princeps could enjoy some leisure. He used to lie down for a while without taking his clothes or shoes off. He had a blanket spread over him, but left his feet uncovered." Another small point. The traffic to this blog is fairly light--I would call it a distinguished trickle--but I continue to be impressed by how far-flung it is. When I glanced at the referral log shortly before noon, I saw that the last twenty visitors hailed not only from the United States but from Belgium (Wezembeek-Oppem), Japan (Kanagawa), Canada (Halifax), England (London), India (Lucknow), Holland (Landsmeer), Bulgaria (Pleven), and Australia (Donvale). Come one, come all. And welcome!